Can a starter be active but dead at the same time? Heeeeeeelp!!! I am losing it here, need professional assistance. I've had my starter for well over a year. About 3-4 months ago I finally nailed it, and started producing beautiful bread at around 78-80% hydration. Fast forward to a week ago. Suddenly the bread stopped rising. The starter is doing great as always, but the bread does not budge. I've tried fridge proofing, counter top proofing, dutch oven, no dutch oven, proofing in the sun and in the shade, switching flour etc., and nothing works. It's just dead. Except one time. 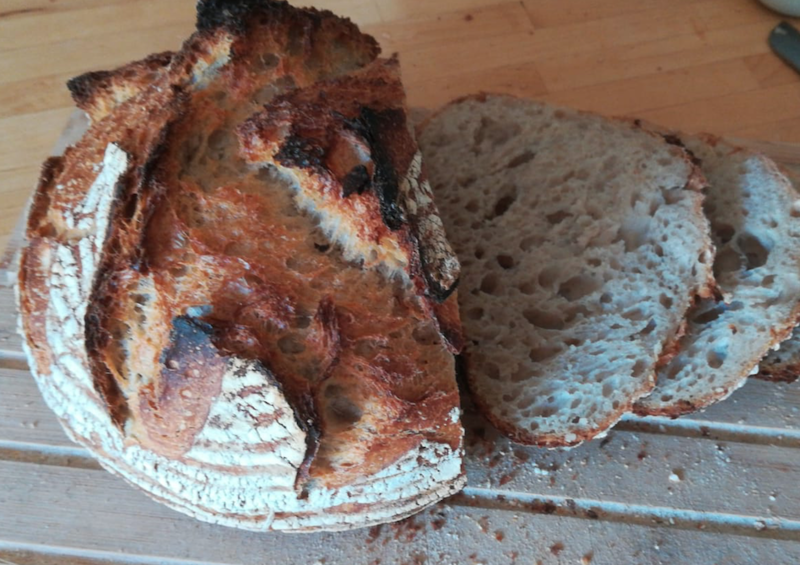 A couple of days ago, suddenly the bread came out great. Didn't really change anything, except put the starter in the shade, and hey presto. But the next couple of breads after that, have been dead again. Is there something wrong with my starter? It almost triples in size as usual - when mixed into the bread, the bread begins to make bubbles almost immediately. Yet upon taking it out of the fridge after 12 hours - dead. Completely dead. Any chance there is soap or dishwasher detergent residue on anything that touches your bread dough? That starter looks pretty awesome, so it sounds like something that happens between the starter and the dough. 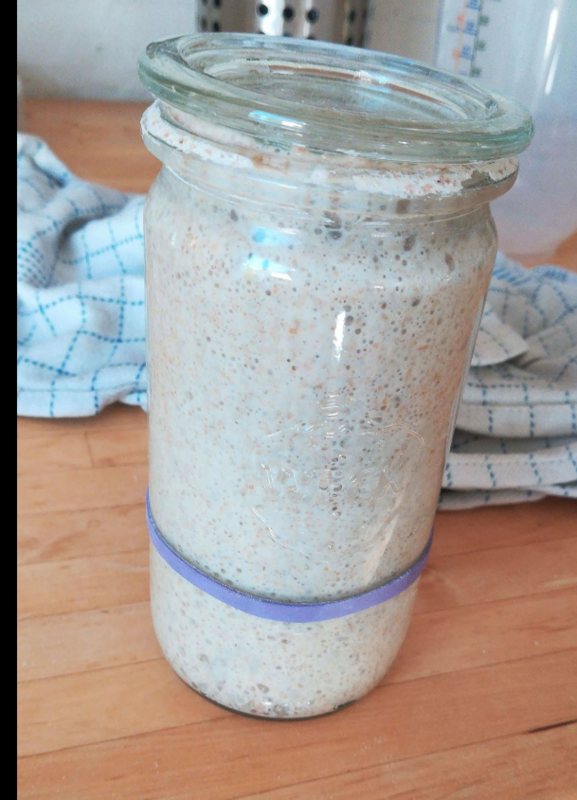 A think to try is to make a loaf of bread with dry yeast, using exactly the same hydration, flour and method (other than using starter, obviously). Make a poolish with the yeast to replace the amount of levain you would use in the bread, then do everything else the same and see how it turns out. That should help diagnose whether it's actually your starter that is at fault. Good tip, thanks! That will tell me for sure if it's the starter or not. If it did better in the shade than in the sun, perhaps the sun overheated it enough to kill an appreciable part of the yeast and bacteria population. Maybe. My starter ferments very slowly in the refrigerator (at approximately 35F). If I give it a feed, let it sit on the counter for an hour or two, then place it in the refrigerator, it will take a week to reach peak and another week to collapse. If I did the same thing with dough, I'd expect similar results if you allow for the larger dough mass not cooling quite as quickly. Your dough may have been sleeping instead of dead. Maybe. That's what I thought! I was so happy when moving it to the shade worked, I thought also that the sun was the culprit, after all it's pretty hot these days. but somehow your breads haven't been. Question: you mix the starter into the dough, and the bread dough begins to make bubbles almost immediately? Then goes into the fridge to retard for twelve hours and comes out dead, as in, you take it out, shape it, and nothing happens during proof? I'm a newbie at this and probably don't have your answer, just want to make sure I understand exactly what's happening. Your starter certainly seems to be alive, and it sounds like your bread dough comes to life, too. 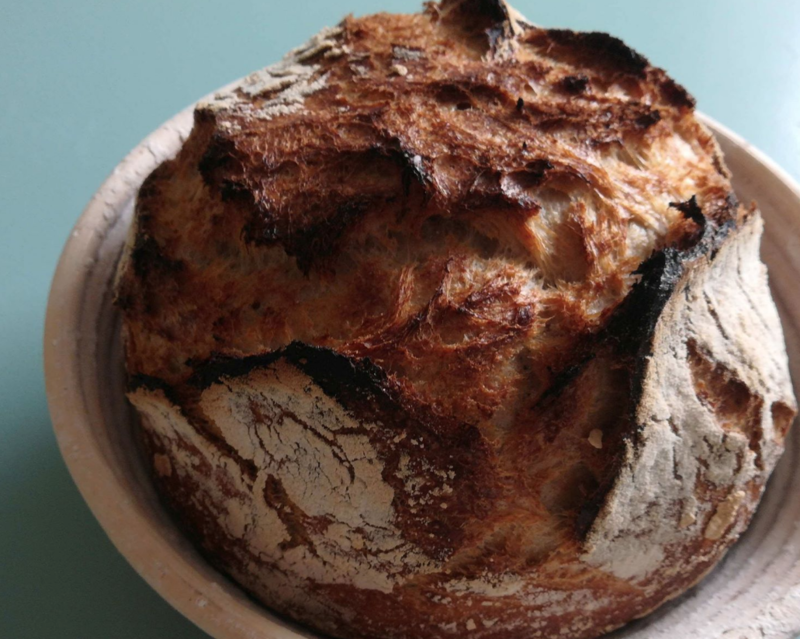 If the bread dough gets totally exhausted while in the fridge because fermentation is happening so quickly, it seems like you would see signs of that, like hooch, or dough with a texture that would feel weird and be very difficult to shape. How does it look, exactly, when it comes out of the fridge? How does it feel and smell? It looks, feels, and smells, like virgin dough - like dough without starter at all. I get a very little bit of oven spring sometimes, but not nearly enough. I'm making a new batch now, where I've tried mixing the starter in earlier than usual - just before it reaches peak. But I am not hopeful. with someone who had a starter that would rise in the jar but not leaven bread? I believe she finally threw it out and someone sent her a new starter, or she made her own. I don’t think we ever came to a conclusion of why this was happening. So I thought I would update this. I think I figured out the issue. I remembered I had a back-up starter in the freezer. Unthawed that, made it extremely happy and bubbly, and tried to make bread with it. Again - dead, flat, dense bread. Bummer. Then I started thinking - if my starter is so good, and it's just water and flour, why is the bread not good - being just flour and water also? BAM - it hit me.. the salt!! The salt was the difference. Who would have guessed that salt would be the culprit! That is beautiful! Yes, it's strange: I googled a bit, and while salt does tend to kill yeast, the effect shouldn't be this pronounced. you find out! I recently heard of sea salt having a lot of plastics in it. I have started using Pink Himalayan salt because of this but I don’t know if this is really true or just another thing that gets passed out on the net but isn’t true. I need to check into it further. It was a combination of salt with iodine in it, and the mixing of the salt. Replacing salt with normal salt without iodine, helped somewhat, but then also leaving the mixture for half an hour, before final mixing and adding salt, brought everything back to normal.